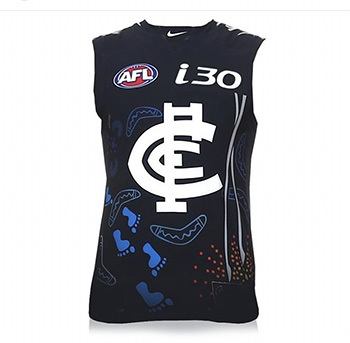 The guernsey was designed by Indigenous artist Trevor Pickett serves to honour dual premiership player Syd Jackson. I have attached our promotional image, which was expertly created by our design team. Proceeds will be going towards the Syd Jackson program which aims to increase the education and employment of Aboriginal and Torres Strait Islander young people.